Joe Henderson recently posted a fine article, “The Trials,” from his forthcoming autobiography, Reruns. While Joe’s piece is nominally about the 1972 Olympic Trials in Eugene, Oregon, it’s really a tribute to US Olympian Jeff Galloway. Jeff Galloway has a permanent place on my list of running heroes – and not just because I trained for my first marathon with Jeff Galloway’s Book on Running as a guide. Holy smokes! Sure enough, Jeff Galloway came on the line, and danged if I wasn’t suddenly talking to an Olympian. I was abashed – ashamed to be wasting his time with my little question. But I needn’t have worried, because he talked with me as a friend, gave me his advice in his courteous, Georgia-flavored manner, and wished me all the best with my running. When I ordered a second copy of the book, it arrived with Jeff’s flowing signature. Later, I attended a runners’ clinic before the Napa Valley Marathon. It was led by Jeff, who at one point took us outdoors to demonstrate good running biomechanics. Then in his fifties, he still ran like a gazelle – more than one person in the audience gasped as they watched his beautiful running form. He was humble and unpretentious, and answered our questions graciously and patiently, with a fine sense of humor. In his article, Joe Henderson issued a rebuttal to Jeff’s critics. The criticisms are primarily from marathoners who resent the hundreds of thousands of marathon “run-walkers” that Jeff has inspired. Their views were expressed by the founder of an online running forum, whose feelings about Galloway are not subtle. Reading this statement, I laughed heartily. I imagined a little fat man in a double-breasted suit, self-importantly smoking a fat cigar, transparently full of self-regard. It’s infantile. My spiritual teacher defined maturity as the ability to relate to realities other than one’s own. And, well, there you go. No one, now or in future – and certainly no runner – will ever be able to ignore or overlook how hard it is to run a sub-3:00 marathon. And no runner will ever devalue the discipline and dedication it takes to train 60-plus miles per week. Yet the self-preoccupied focus of the Galloway haters prevents them from seeing a simple, obvious fact – that the hundreds of thousands of slowpokes will always be their most respectful, appreciative fans. Who could possibly understand, better than they, what it takes to run sub-3:00? There’s another side to this question – it becomes clear if we look at the New York Marathon. The 2008 NYC race had 38,096 starters. Only 13,106, or 34%, ran under 4 hours. Let’s imagine for a moment what would happen if the race directors suddendly decided to limit entry to those who had run a sub-4-hour qualifier. The new rule would immediately eliminate the 24,990 over-4:00 slowpokes from the race. It would, seemingly, be the answer to the anti-Galloway crowd’s dreams. Of course, a marathon with just 13,000 runners would attract a bare fraction of the media attention that it would if the 24,990 over-4:00 slowpokes were allowed to run. And where, formerly, the sub-3-hour runners were in the top 1.6 percent, now they would be seen as ordinary mid-packers. If the race received any TV coverage at all, the largely uninformed audience would consider them uninteresting also-rans. Letting the slow folks run would be the best attention-getting ploy the sub-3:00 runners could devise. It would increase the odds that the race would be covered on TV, and that the commentators would talk about how hard it is to run sub-3:00. Compared to the hordes of run-walkers, the three-hour finishers would stand out as exceptional. A marathon limited to 13,000 sub-4:00 runners would exclude most of the race’s wealthiest demographic – the over-40 runners – a fact the race directors and the city officials are certainly not unaware of. There would be much less prize money, and many elites would seek a richer payday elsewhere – say, in London, Berlin, or Chicago. It’s very likely that the course would be re-routed. With just 13,000 runners, why would the city want to close the streets throughout the renowned “five-boroughs” route, or pay police overtime to monitor the course? Let’s face it, a marathon gets almost zero media attention, unless it’s a mass-participation party and circus. It’s a very difficult sports event to cover on television – and even more difficult to make interesting for the viewers. Without world-class competitors and a party atmosphere, nobody cares. The TV watchers at home love seeing the 40,000 runners wind through the five boroughs of New York City. It’s a really cool event – three events, actually: an athletic competition at the world-class level, a travelogue, and a spectacle with lots of personal-interest stories. In short, it’s an event that’s primed to display the sub-3-hour runners as heroes to a huge audience. But then, nobody ever said that the Galloway-haters had ever thought through their highly emotional views to their calm, logical conclusion. There are two sides to the issue – the exterior view, which I discussed above, and another, inner side that concerns basic human values. In an article that I posted here a long time ago, I talked about that inner side. I compared the expansive, adventurous spirit of Jeff Galloway’s slowpoke run-walkers, to the mean-heartedness of the Galloway-haters. In that older article, wondered if the loudest anti-Galloway complainers aren’t, in fact, the 3-hour marathoners – not the 3:30 people, who are less removed from the 4:30 folks and more likely to see them as real people, with their aspirations and dreams. And not the sub-2:20 marathoners, who must of necessity focus on generating as much positive energy as possible, and will never be found singing the poor-me blues in the online forums. In real life, we find the elites praising and encouraging the slowest runners. The 3-hour marathoners aren’t elites, by a long shot, nor are they “recreational marathoners.” They’re somewhere in the middle, in limbo-land. And I wonder if that’s why they’re so tenacious in clinging to whatever ego-satisfactions they can squeeze from the marathon. They do work hard, no doubt about it, but perhaps the whiners among them are working hard for some of the wrong reasons – not in hopes that training for a fast marathon will expand their body, heart, will, mind, and soul, but in pursuit of “I-my-me-mine” ego balm. It’s been shown scientifically (see www.heartmath.org) that negative emotions such as anger and resentment erode physical performance. The spiritual teachings of all cultures and ages warn us that these contractive attitudes destroy health and happiness. It would take only a little reflection on the part of the complainers for them to realize that their anger is counterproductive to their goals. I’ve used Galloway’s run-walk technique for training and racing for many years and by doing so I remain injury-free and running year-round. For the ‘Gallo-haters’ out there who want to bash the man and his ideas all I can is this: it works for me, so, until you start buying my shoes and paying my entry fees, don’t tell me how to participate! When I was younger, I never ran over 3:00. I went fifteen years with out going over 3:00 once. 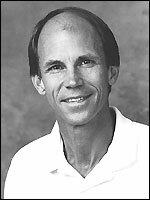 However, I think that Jeff Galloway has done more for getting more people in shape, even if they are running five hour marathons, with his run-walk technique, than anyone else. I still use it for ramping up my mileage…..